UDM Downloads > Greenfish Icon Editor Pro! This program is a professional, yet easy to use tool for creating icons, cursors, and other small pixelgraphic images. Why is it recommended for everyone? 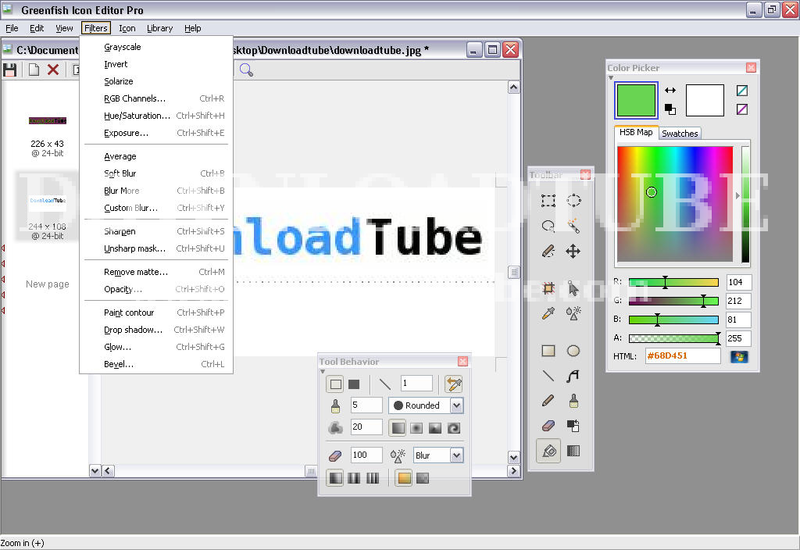 * Easy to use, lightweight, requires no installation (portable) * Supports file drag and drop * Has multilanguage support (included: English, Chinese, French, German, Hungarian, Italian, Japanese) * Help also available in French, separate download * Click here to help us by translating the program * Sample icons are included * Uses dynamic color depth: you do not have to specify it explicitly, Greenfish Icon Editor will determine it for you. Why is it useful and 'pro' as an icon editing tool? * Opens and saves in ICO, CUR, PNG, XPM, BMP and JPEG formats * Can create icons and cursors up to 256x256 @ 32-bit, which can also be PNG-compressed for use in Windows Vista(tm) * Can extract icons and cursors from executable files and icon libraries * Can batch convert image files to icons, or to another image format * Has advanced selection handling (marquee, lasso and wand tools, saving/loading selections from files) * Offers various gradient styles for filling shapes * Lots of filters including Remove matte, Drop shadow, Inner/Outer glow and Bevel And, it's FREE!